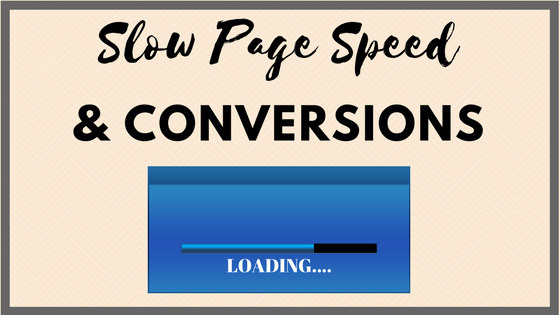 Did you know, that a 1 second delay in page load time can cause conversions to drop by 7% (Kissmetrics)? The steady increase in technological innovation has caused people to become more impatient than ever. Whether we are shopping from a desktop or a mobile device, we no longer expect to have to wait for a page to load. In fact, data from a recent Google study shows that 53% of people on mobile devices will leave a page if it takes longer than 3 seconds to load (Instapage). To put that into perspective, if your page doesn’t load in 3 seconds or less, you are essentially losing half of your traffic before they even view the whole landing page. In addition, users associate faster page speed with trustworthiness. 79% of people who are unsatisfied by a website’s performance are less likely to buy from that site again, and 52% of online shoppers said that fast page loading is important to their site loyalty (Kissmetrics). So, if your page is loading slowly, you’re less likely to see brand loyalty and repeat business. Redirects happen when a user types in your page URL and is then automatically rerouted to another page. It would be like if you walked to your favorite store and you find a sign on the door that says ‘we moved to a new location.’ This would mean you spend more time getting to the store. The same thing happens online when you redirect traffic elsewhere; load speed decreases each time you introduce another redirect. The less you have, the faster your page will load. When your site content is stored on multiple servers across the globe, you can send content to each user from the server that is geographically closest to them, significantly reducing page load speed. The shorter the distance the content has to travel, the quicker it will show up on your computer screen or mobile device. CDNsun has over 70 data centers worldwide that cover 5 different continents, making it possible to reach users quickly anywhere in the world. The cleaner your code, the faster it loads. Get rid of any unnecessary characters that may make it easier for humans to read the code, but that computers don’t need to run it properly. This could include removing extra white spaces, source code comments, unused code or even using shorter function and variable names. All in all, this will reduce the amount of data that needs to be transferred that a computer has to render, resulting in faster load times for a page. Larger images take longer to load, so make sure the images on your site are no larger than necessary. You also want to make sure the images are in the best format. If you have photographs on your site, JPEG format works best, but for graphics with less than 16 colors, PNG format is the way to go. Many tools exist to make compressing your images as easy as possible, so take advantage of them!